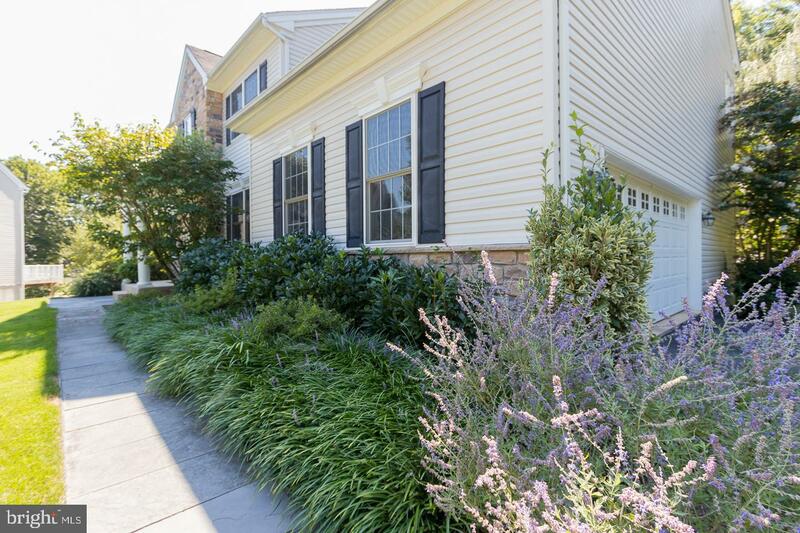 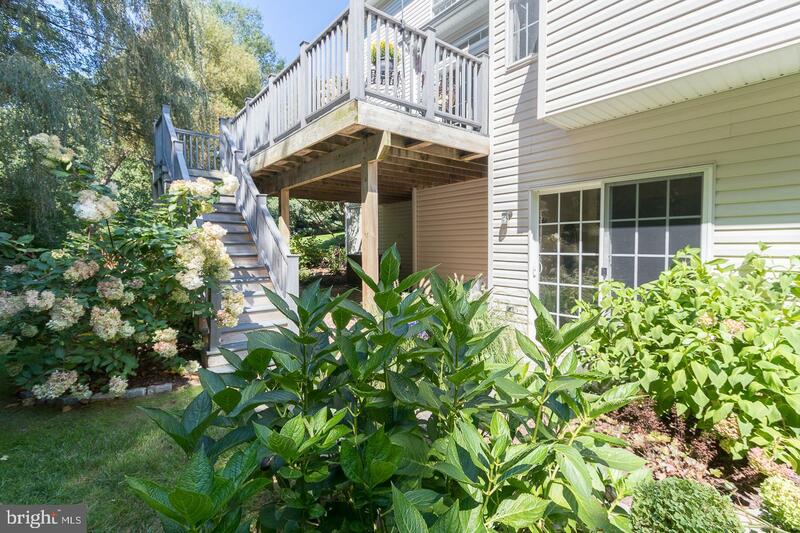 Immaculate home in a cul- de- sac location, with complete backyard privacy! 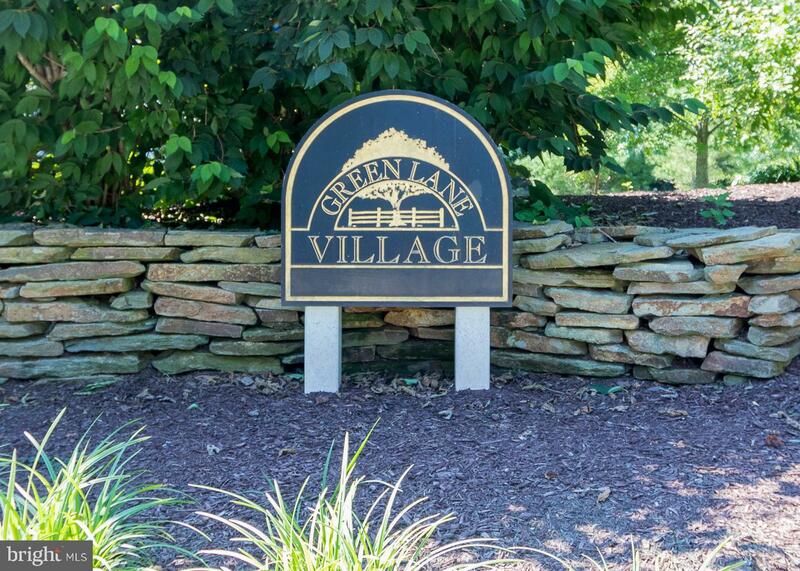 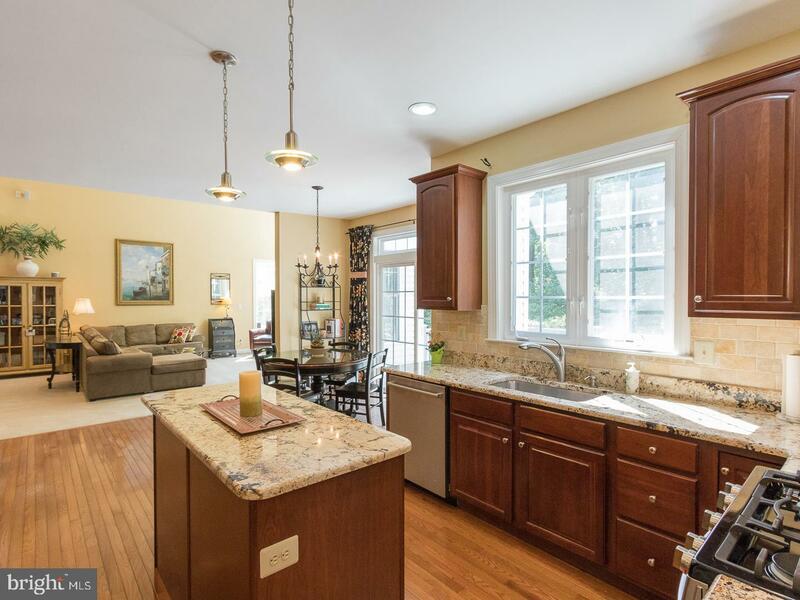 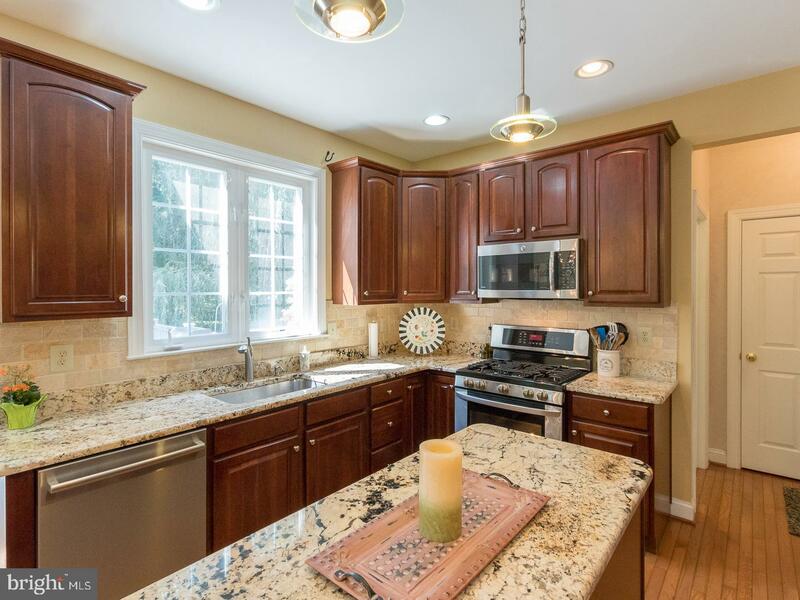 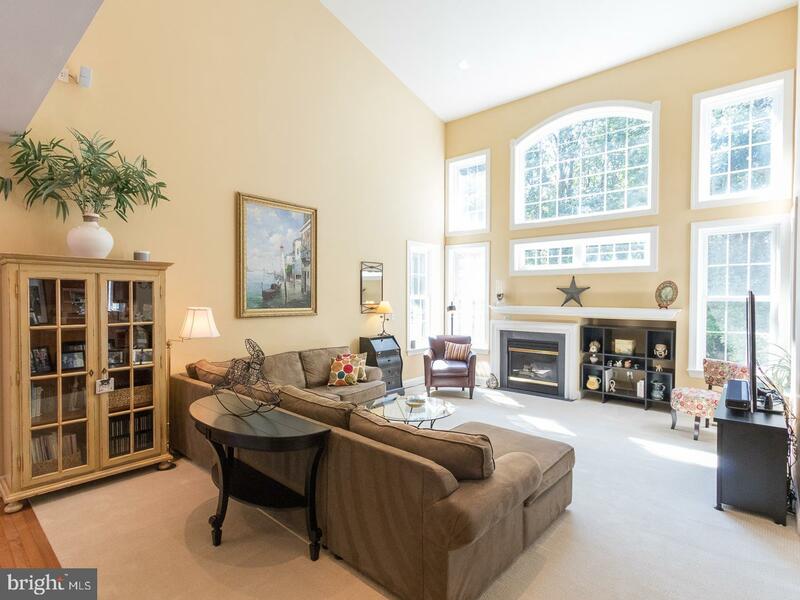 Beautiful maintained and exquisitely upgraded home in Green Lane Village community. 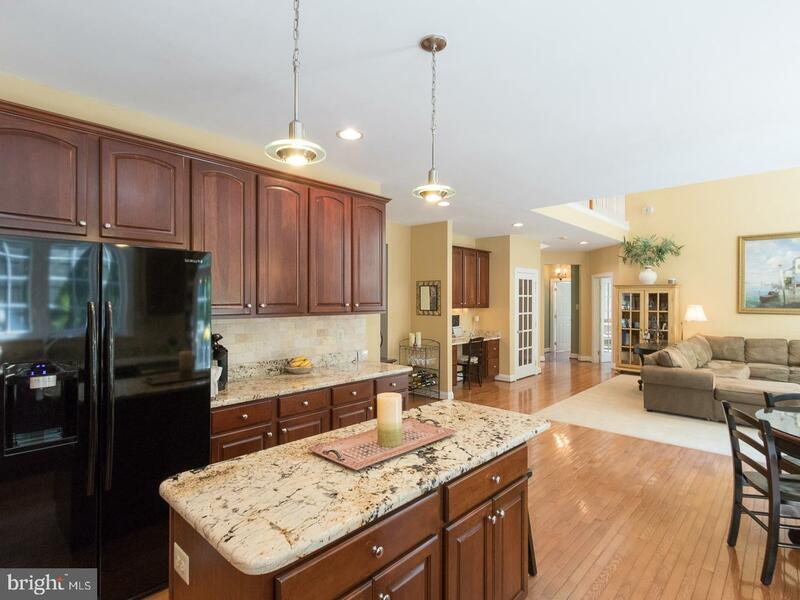 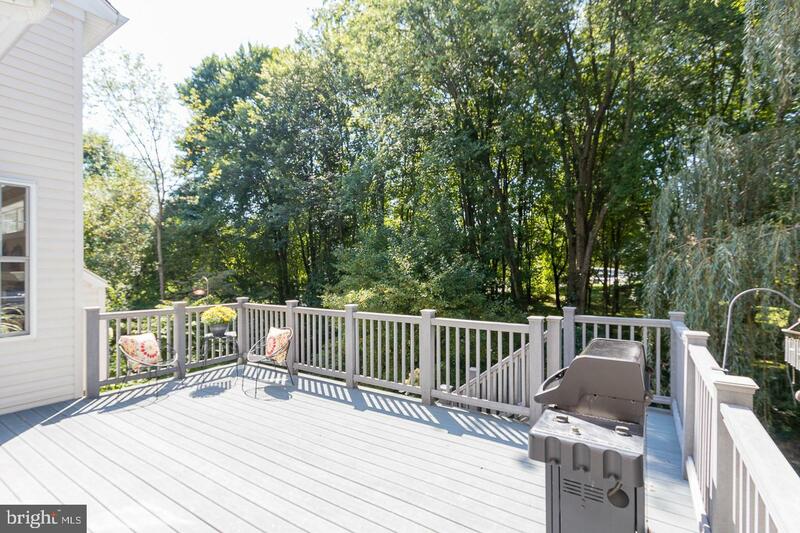 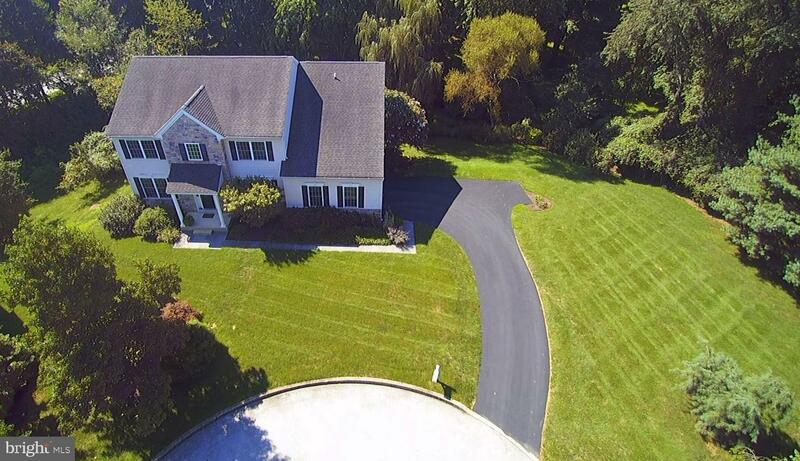 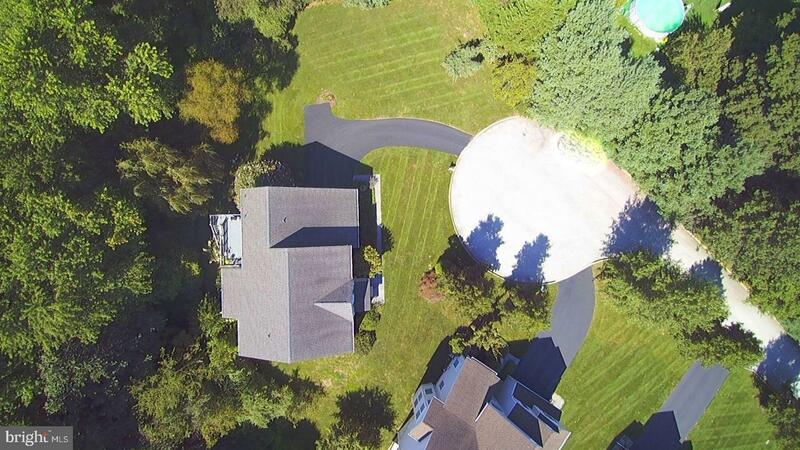 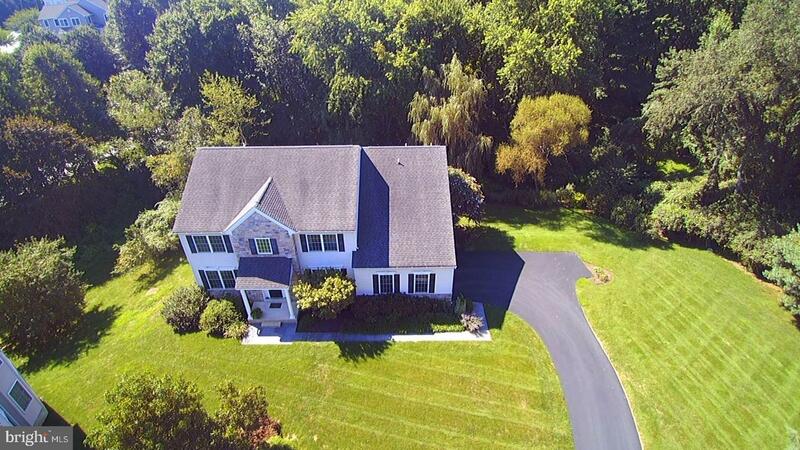 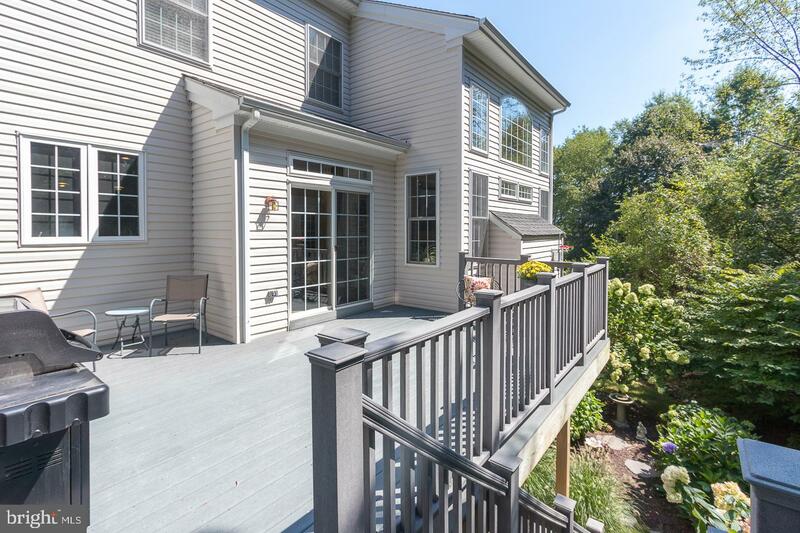 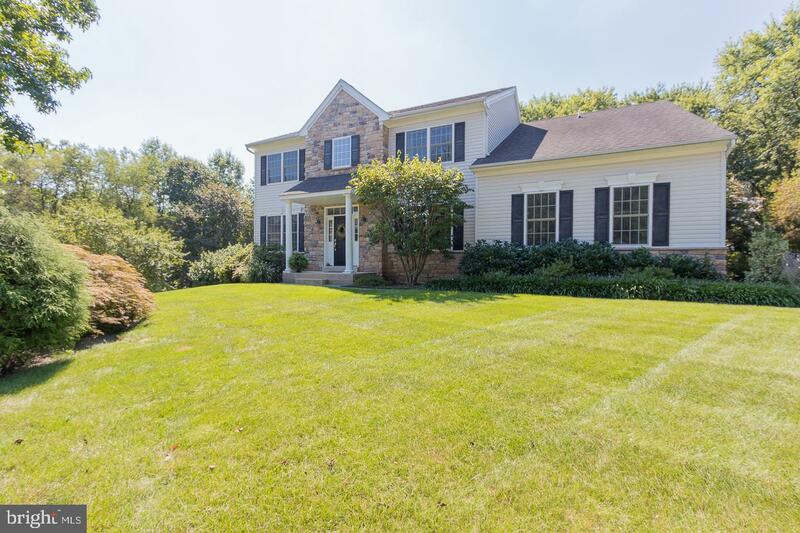 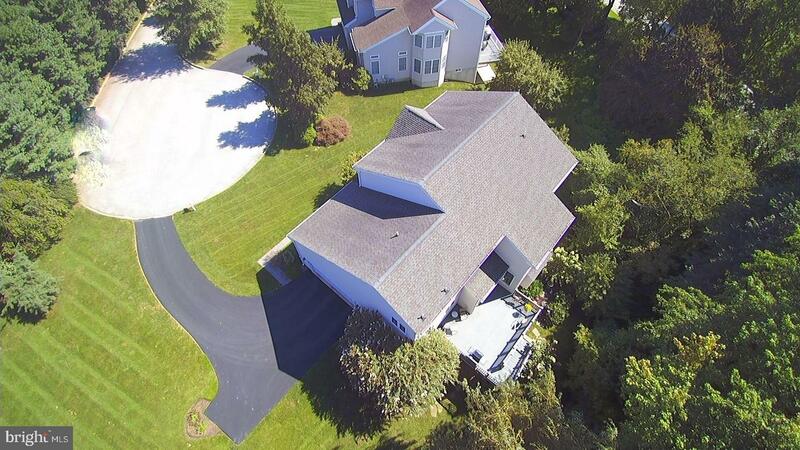 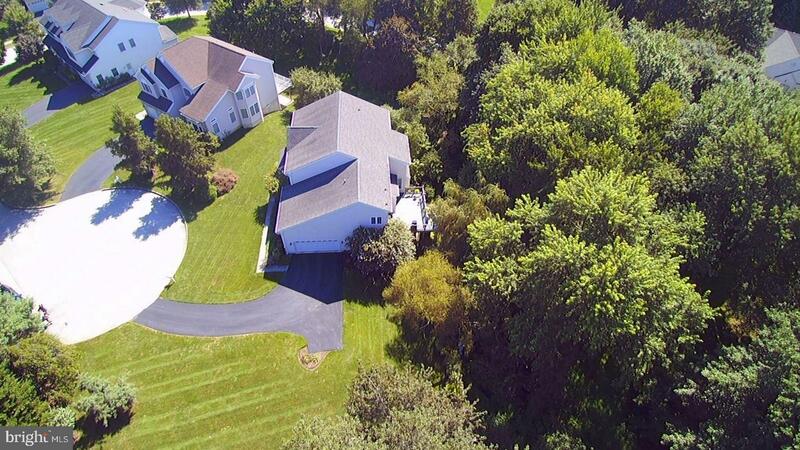 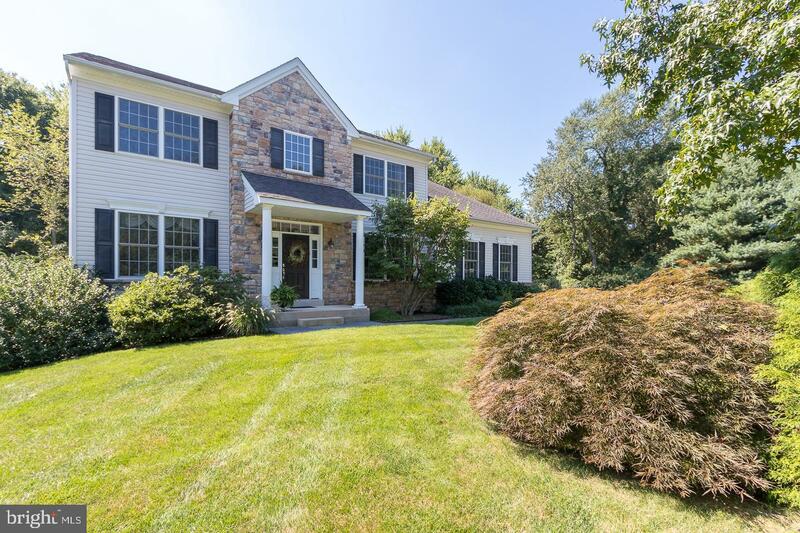 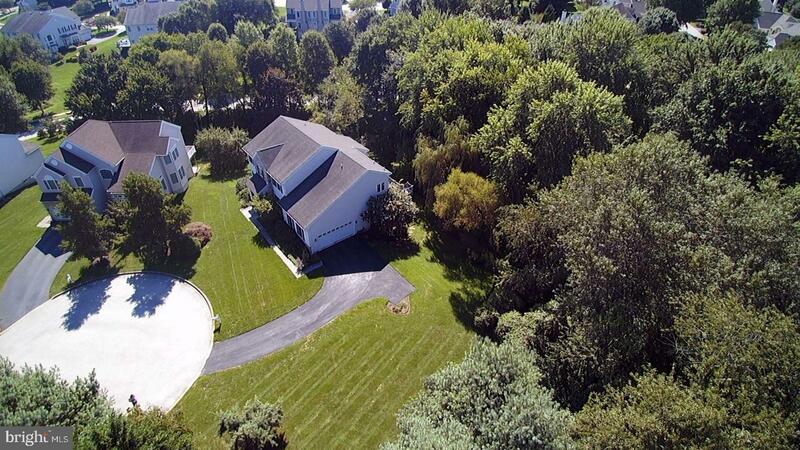 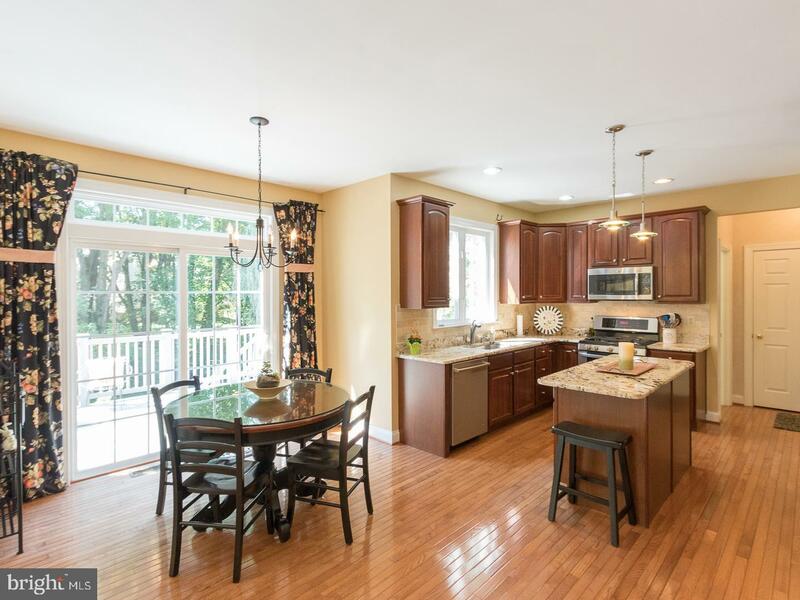 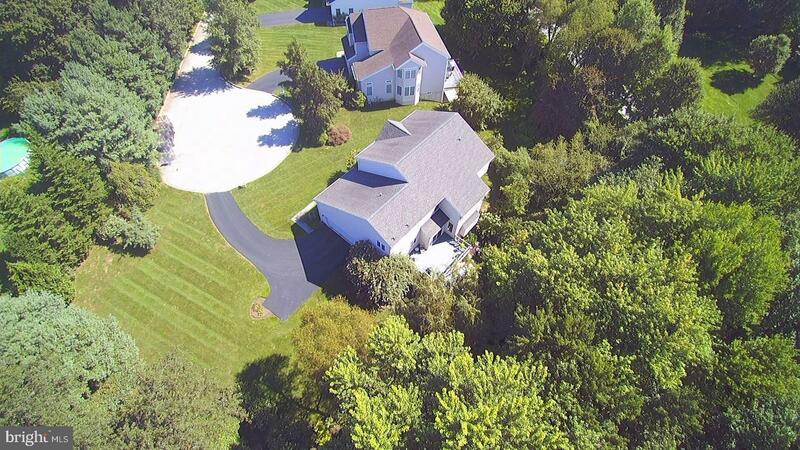 Located on a premium Cul-De-Sac lot, this 5 bedroom, 3.5 bath home backs to mature woods and lush green landscaping. 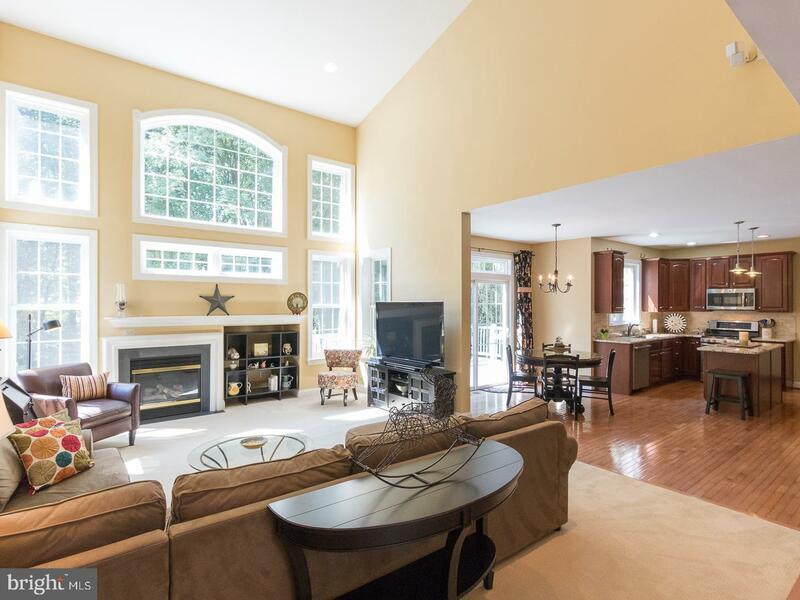 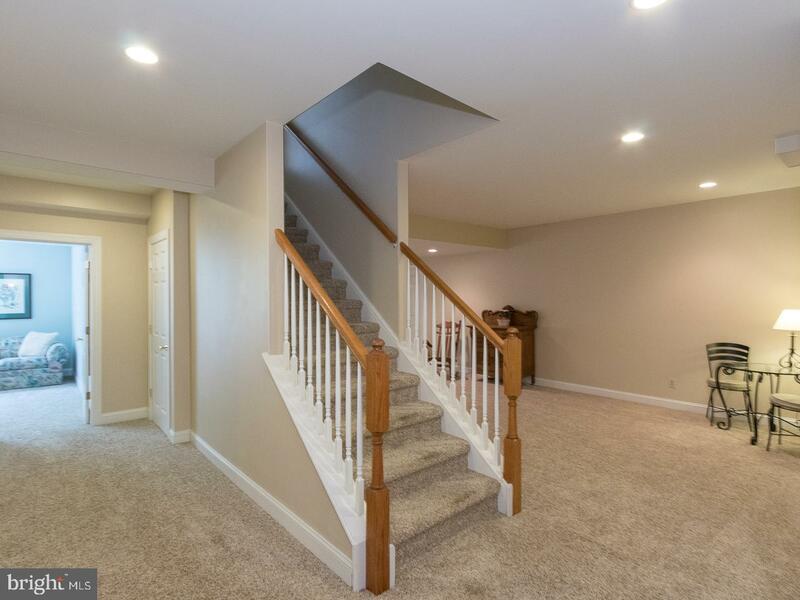 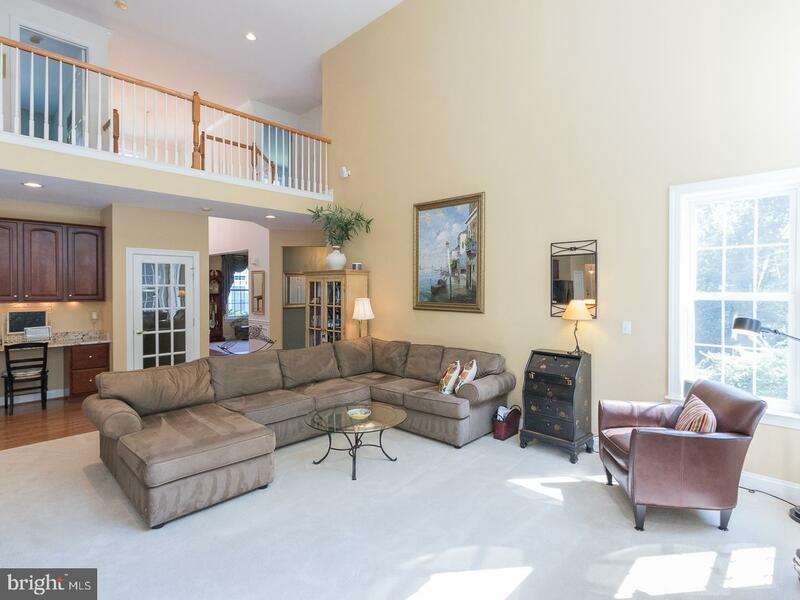 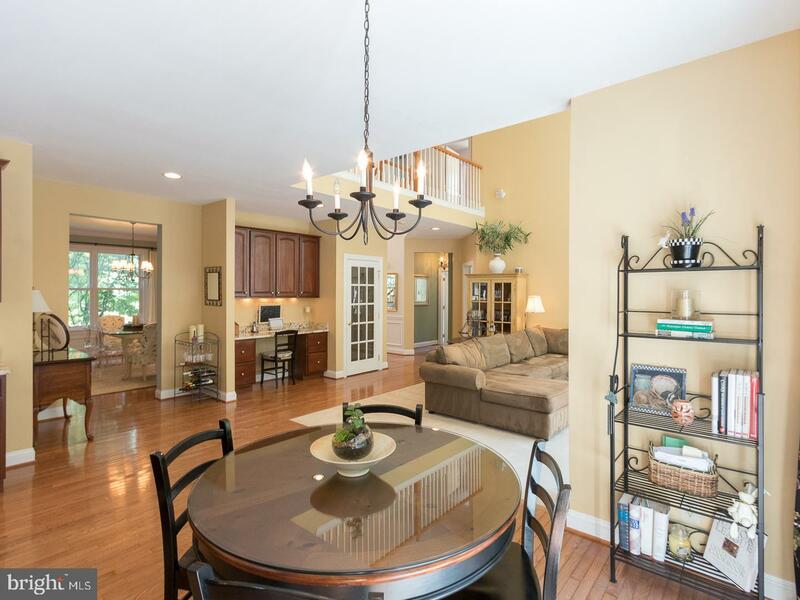 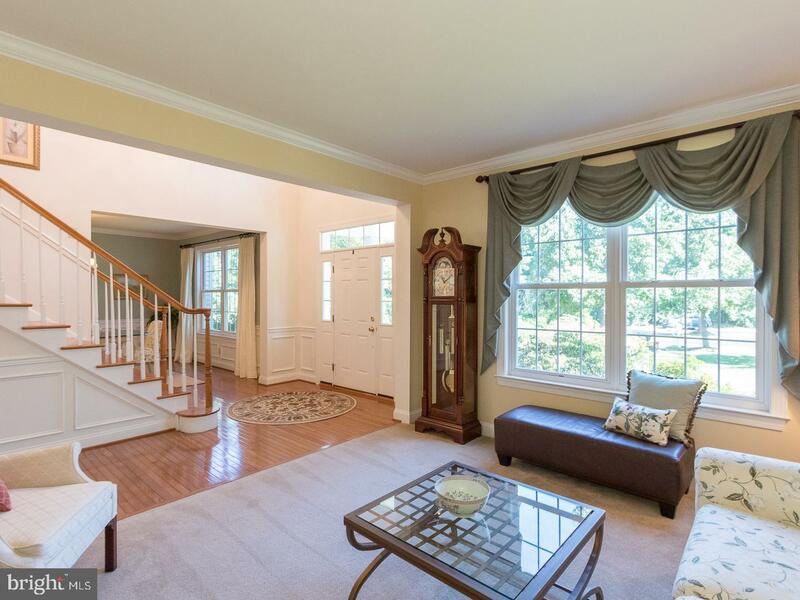 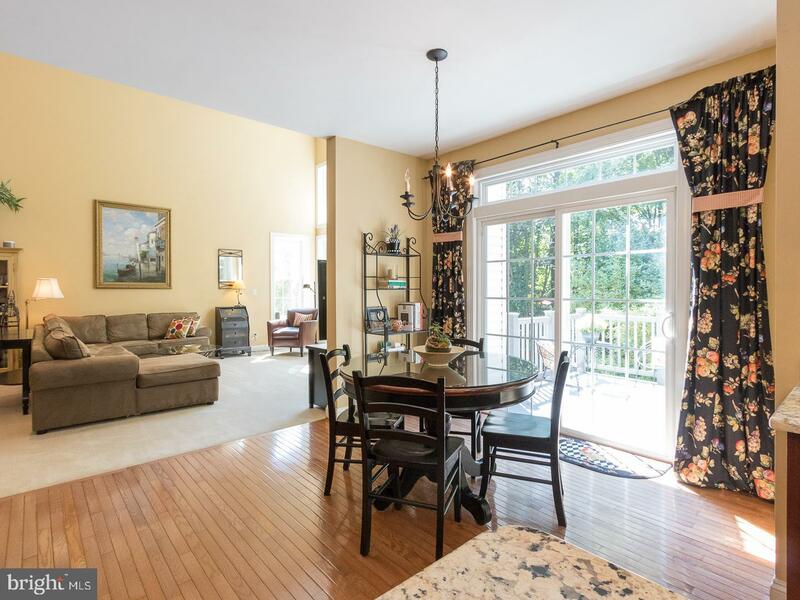 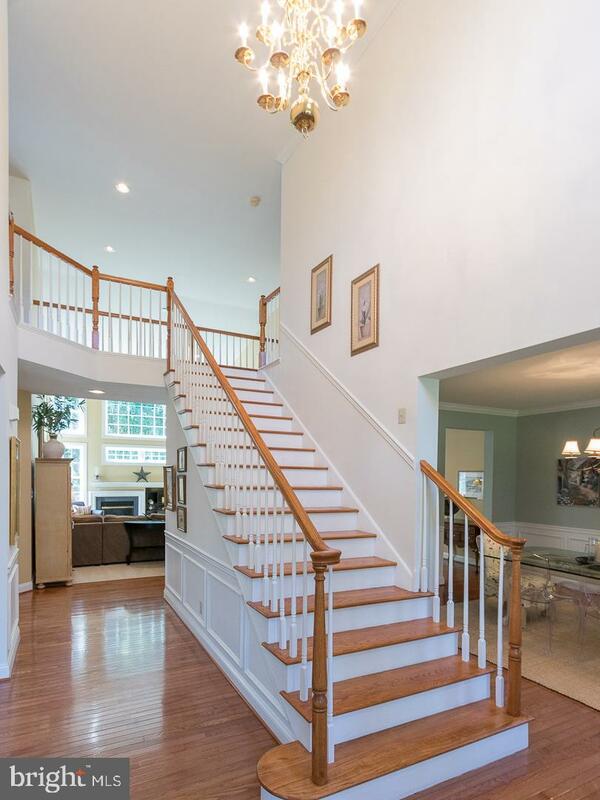 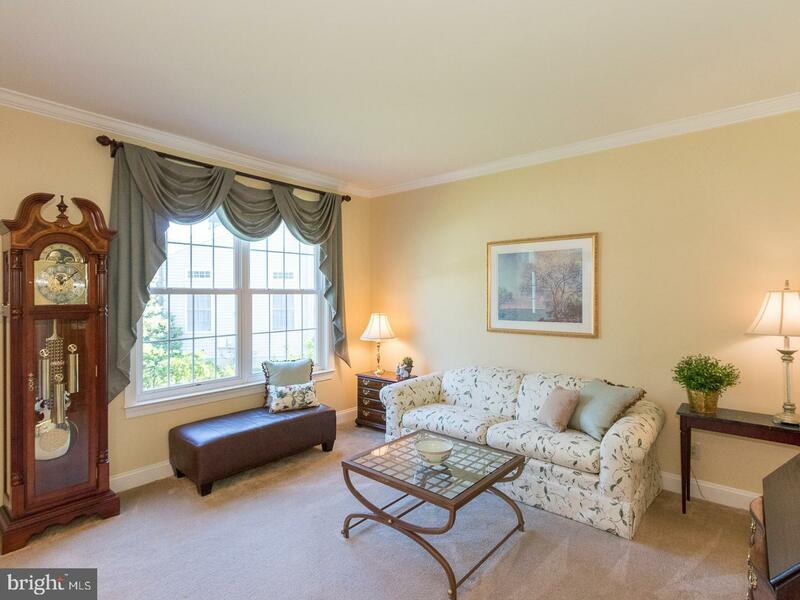 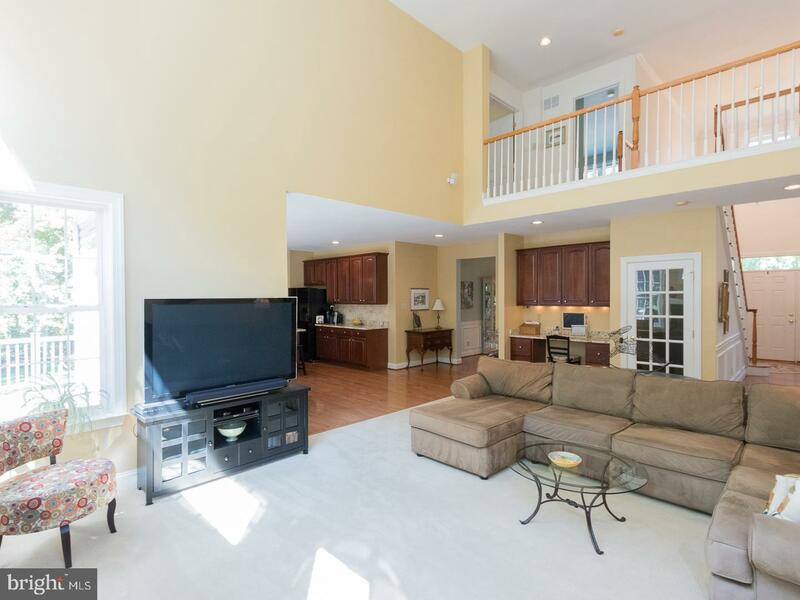 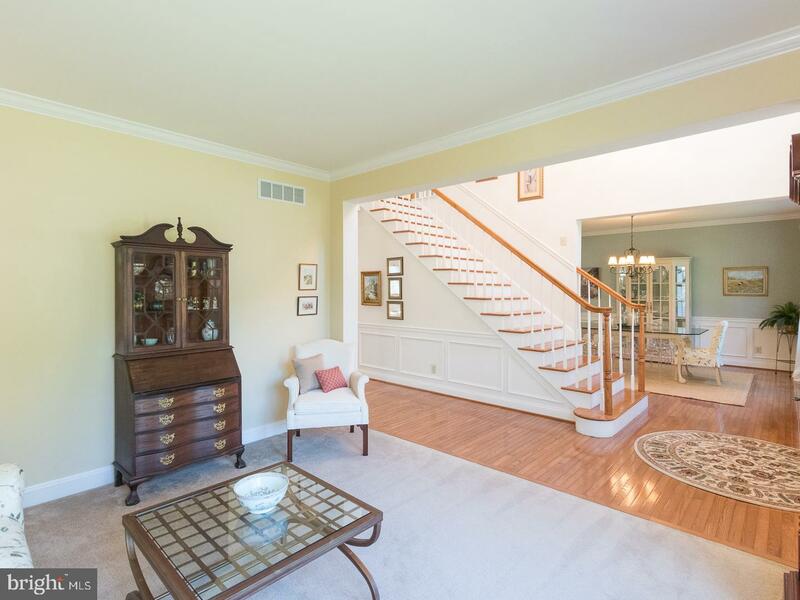 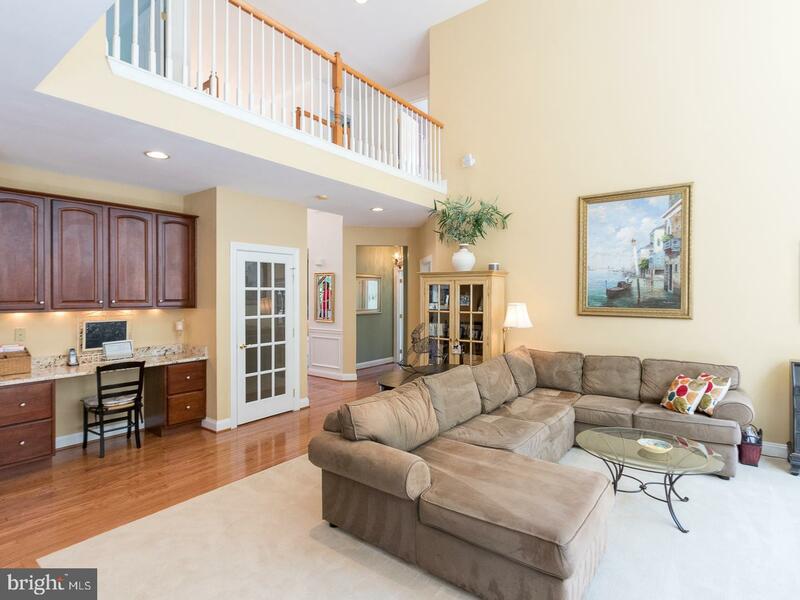 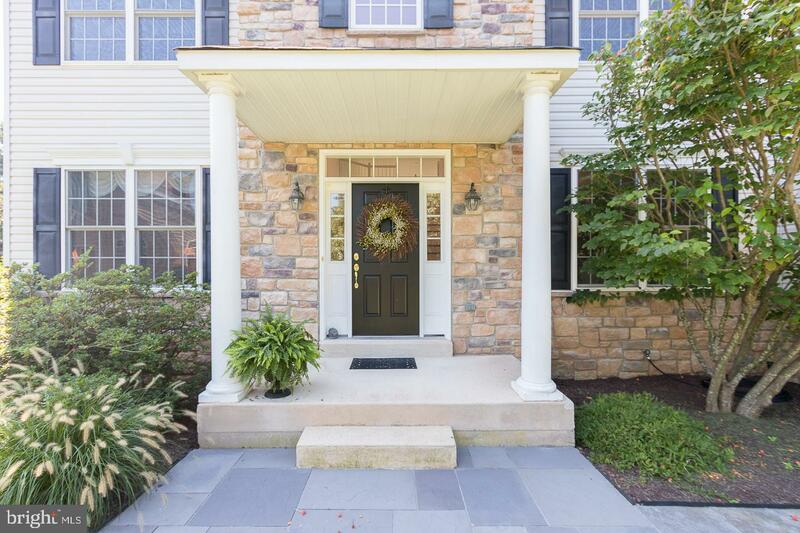 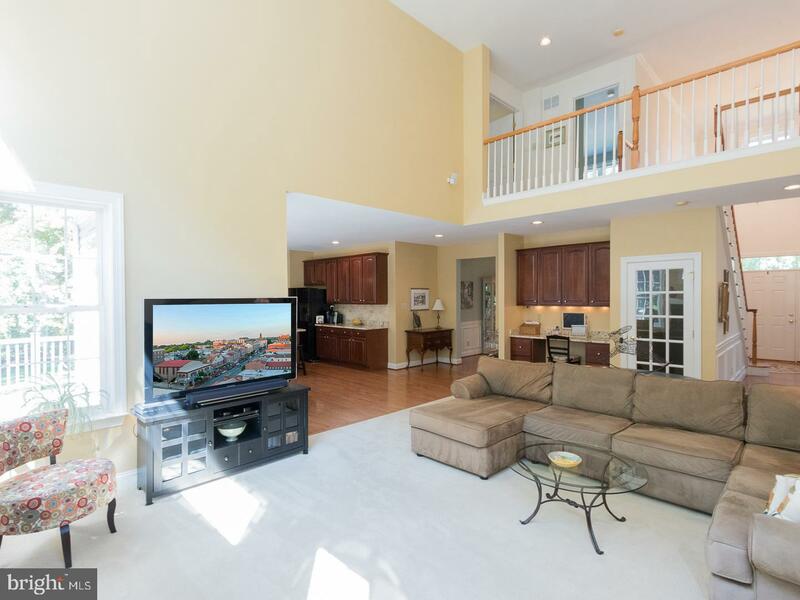 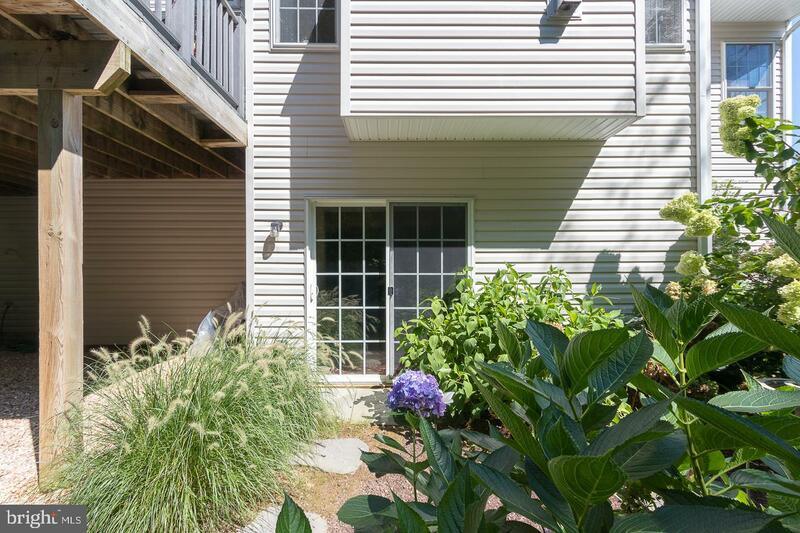 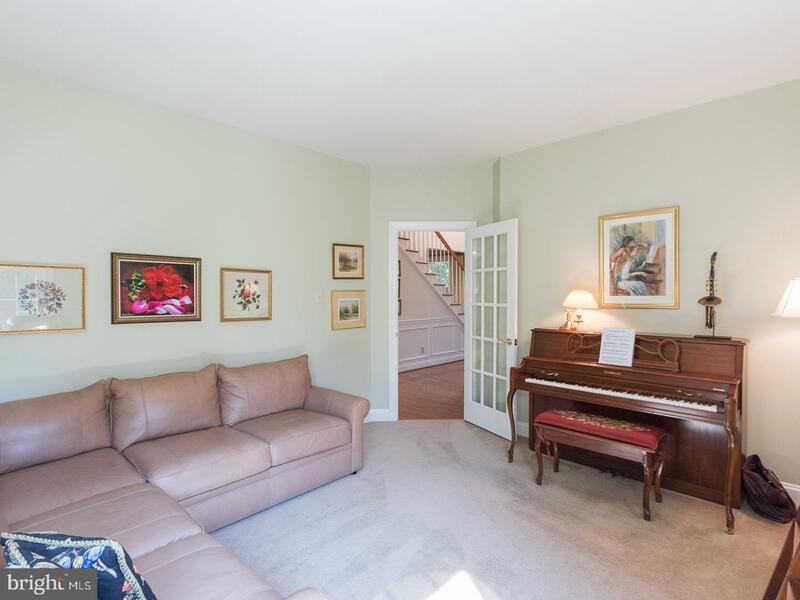 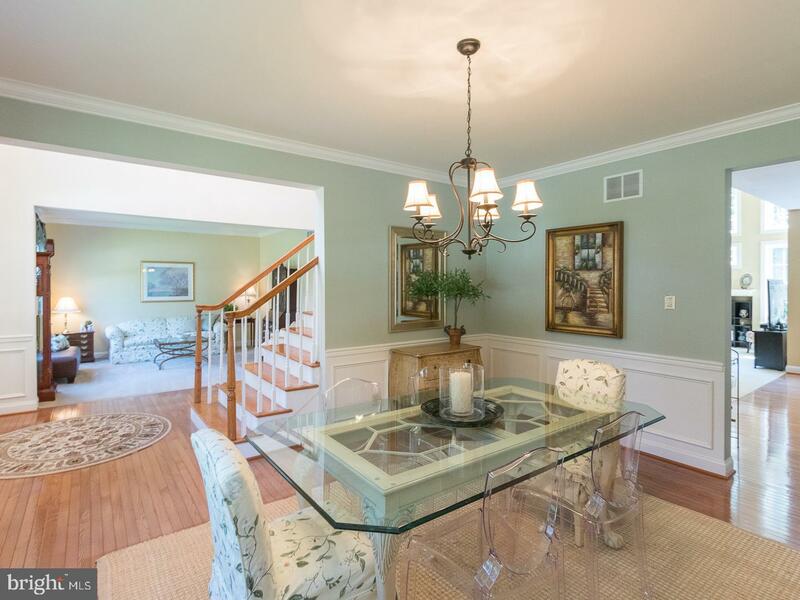 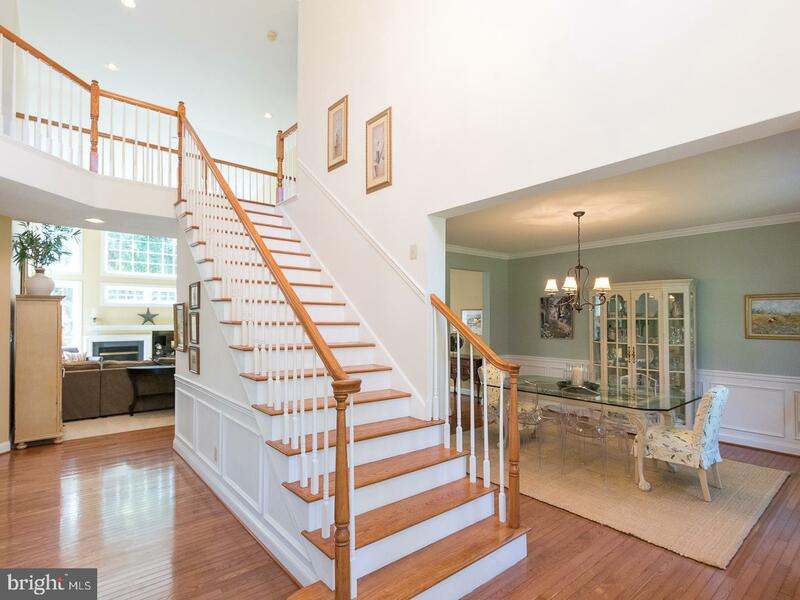 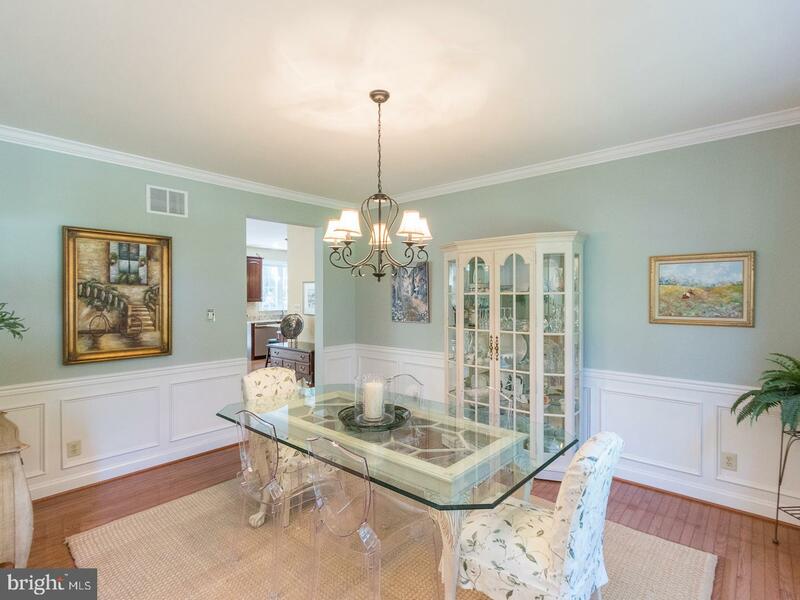 Enter into a bright two story foyer flanked by the formal Living and Dining Rooms. 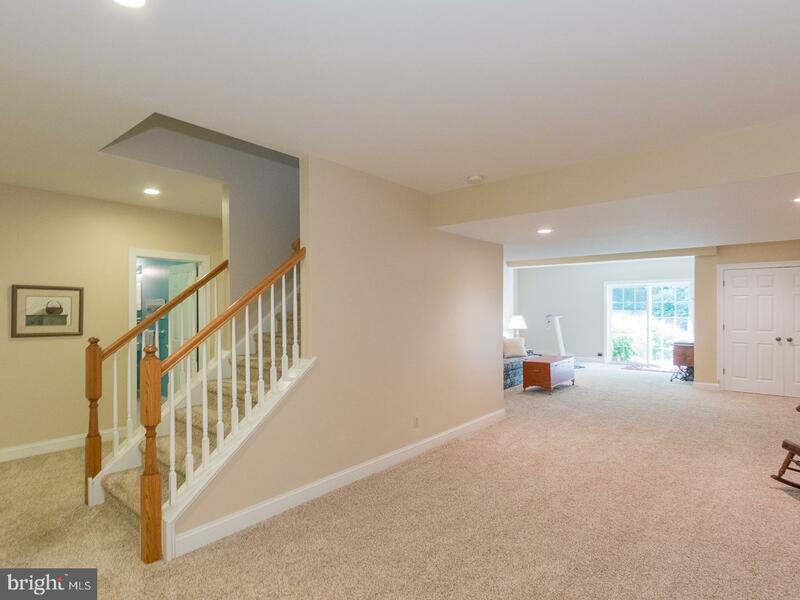 Move into an open concept main level, on to the family room with a wall of windows letting in lots of natural light, recessed lights and a fireplace. 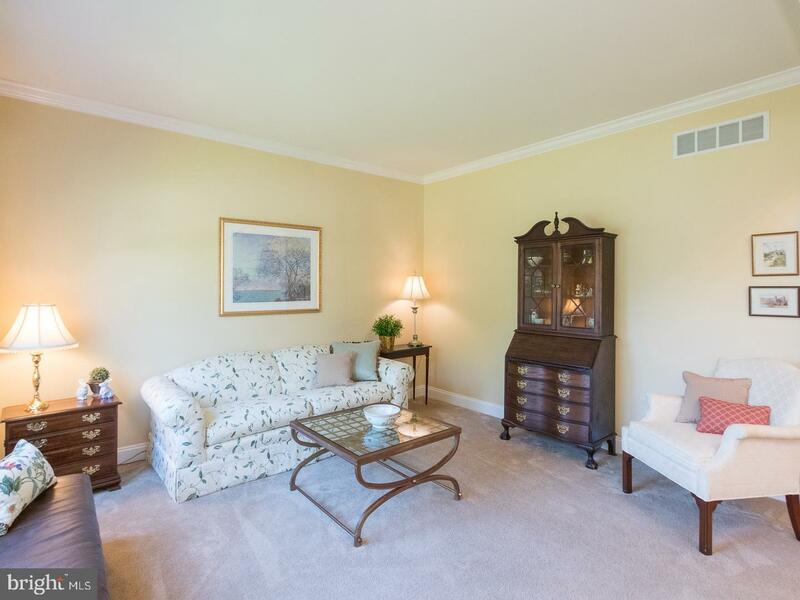 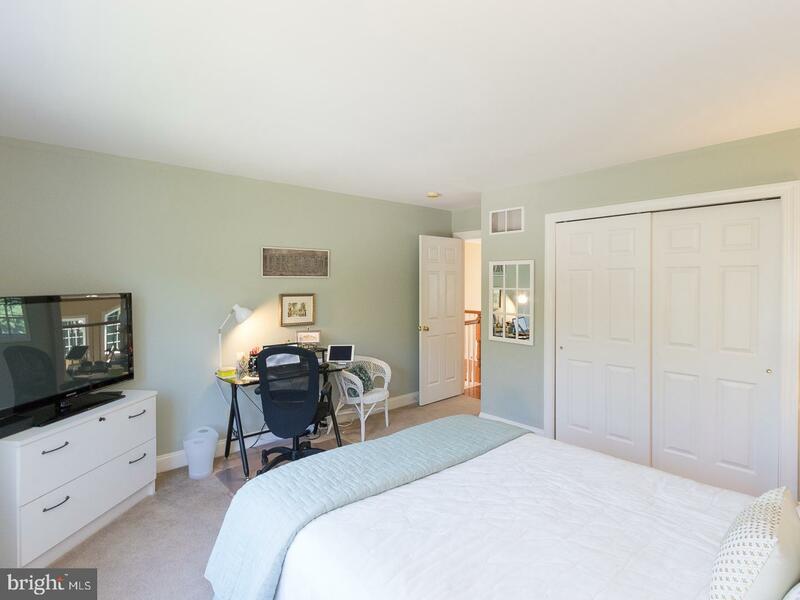 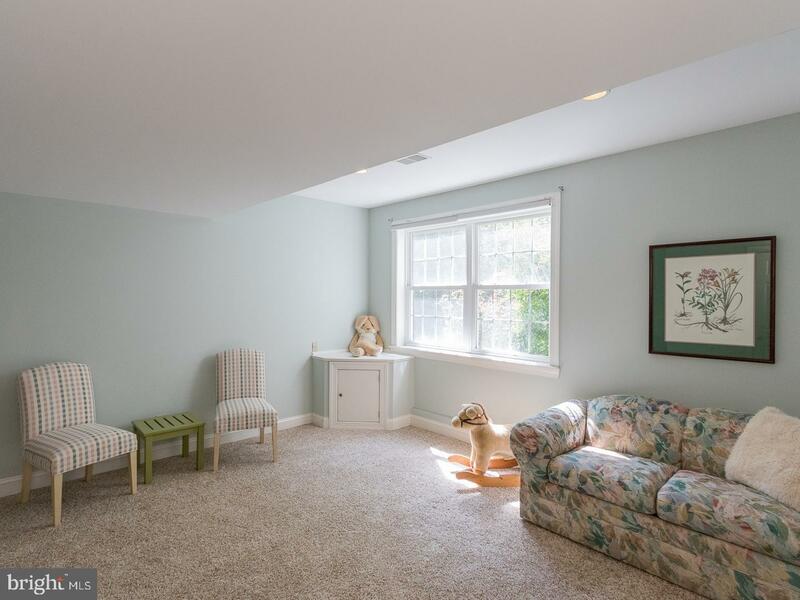 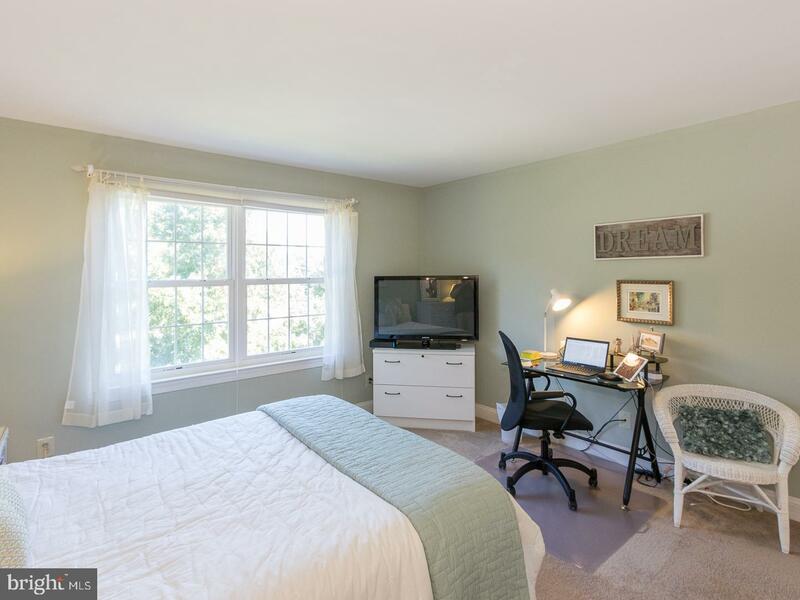 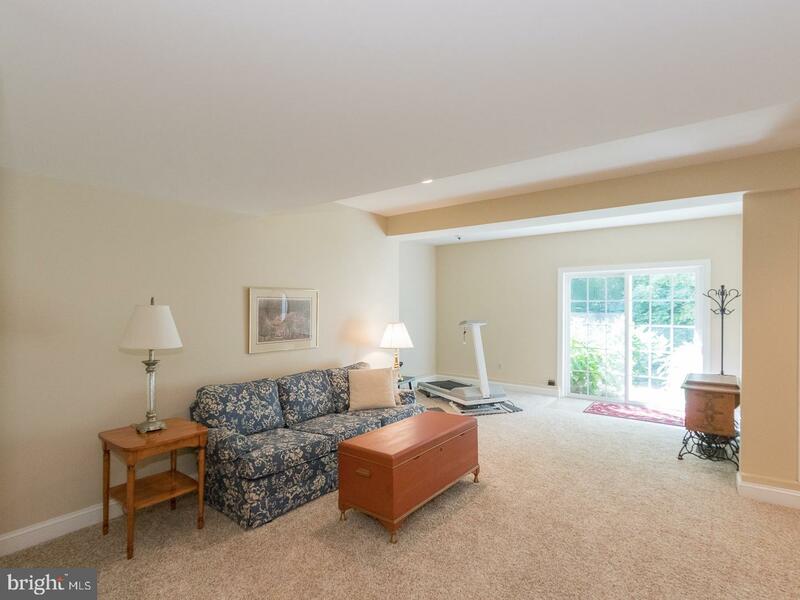 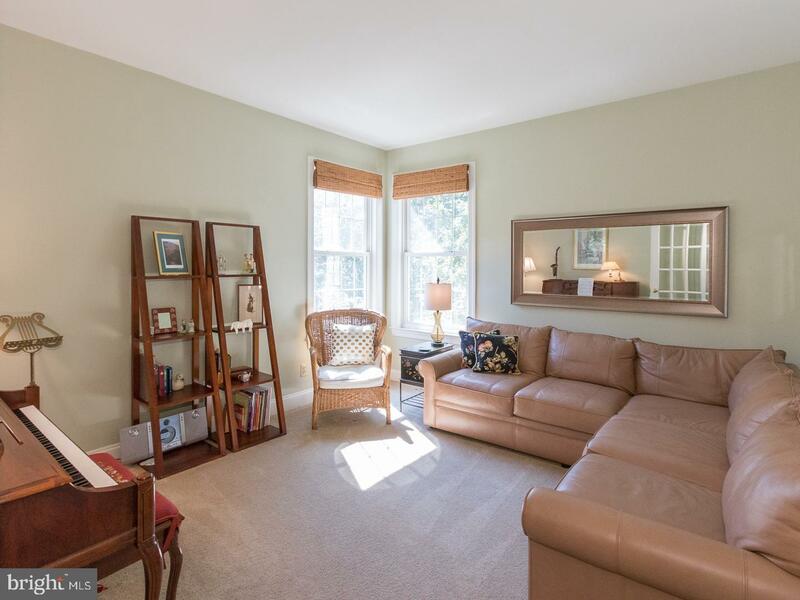 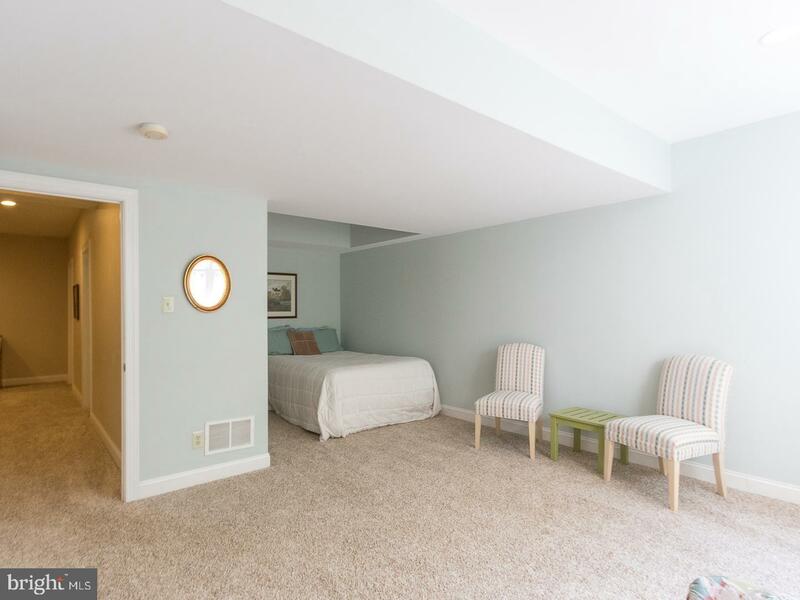 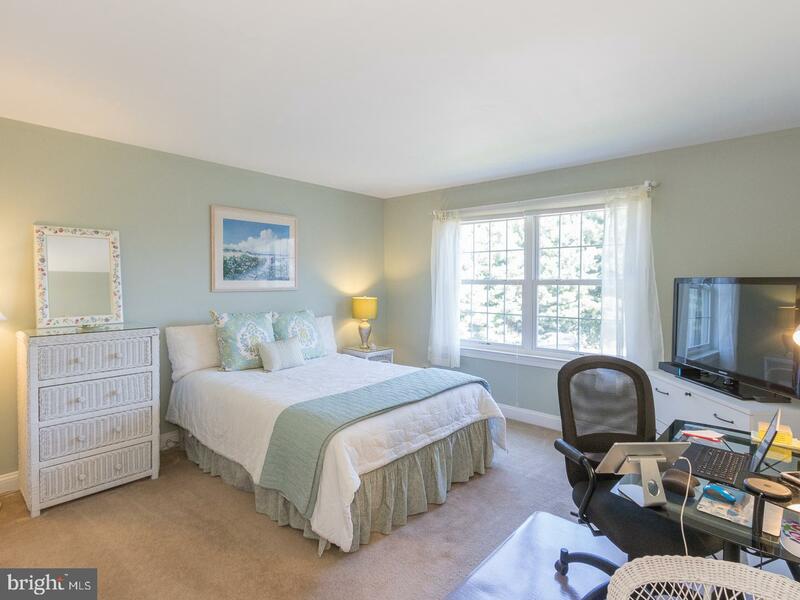 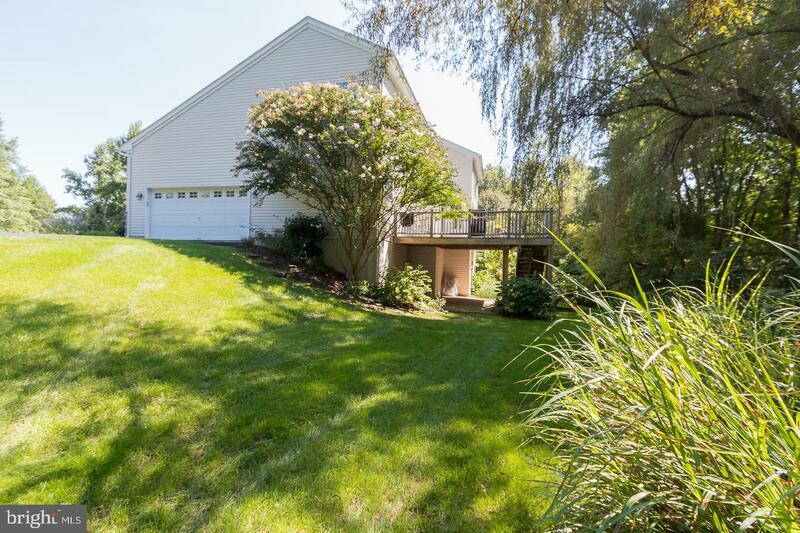 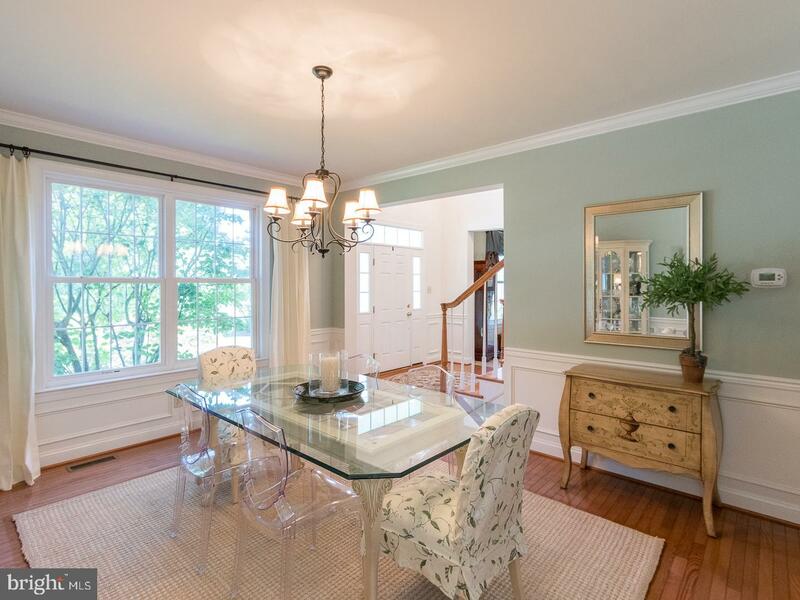 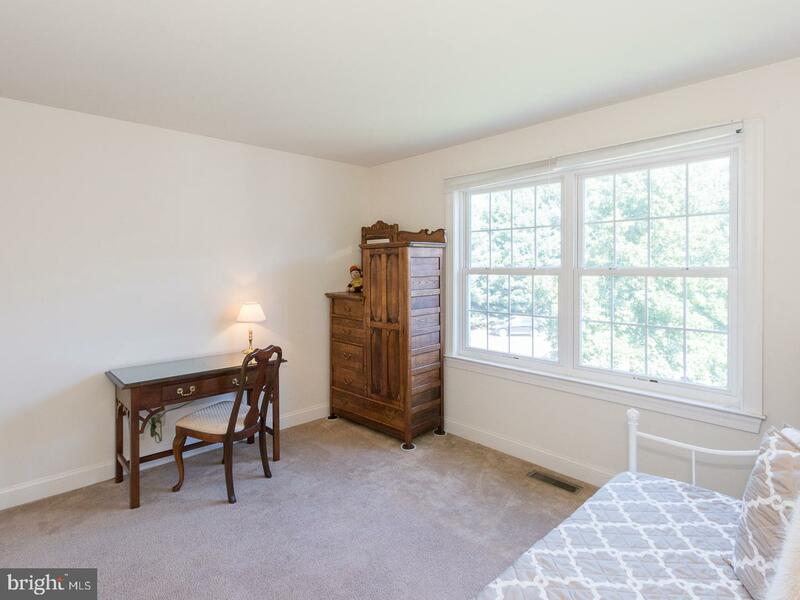 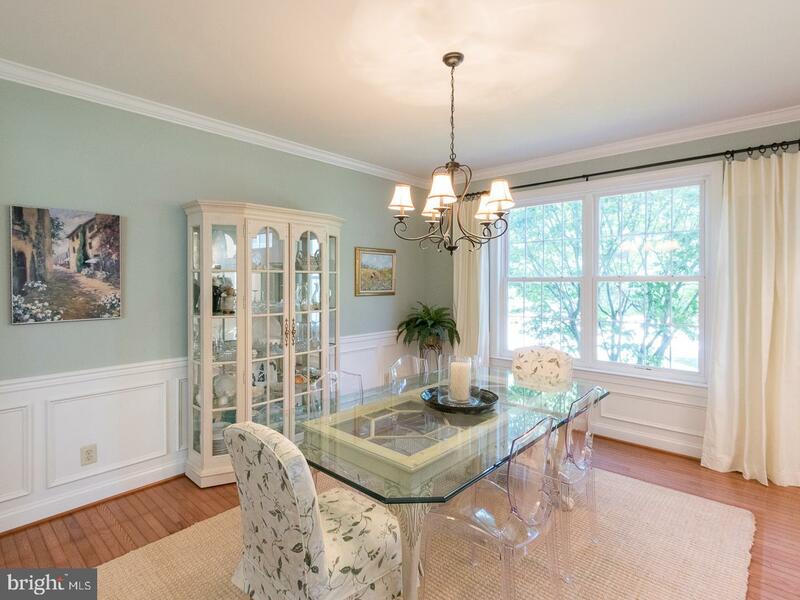 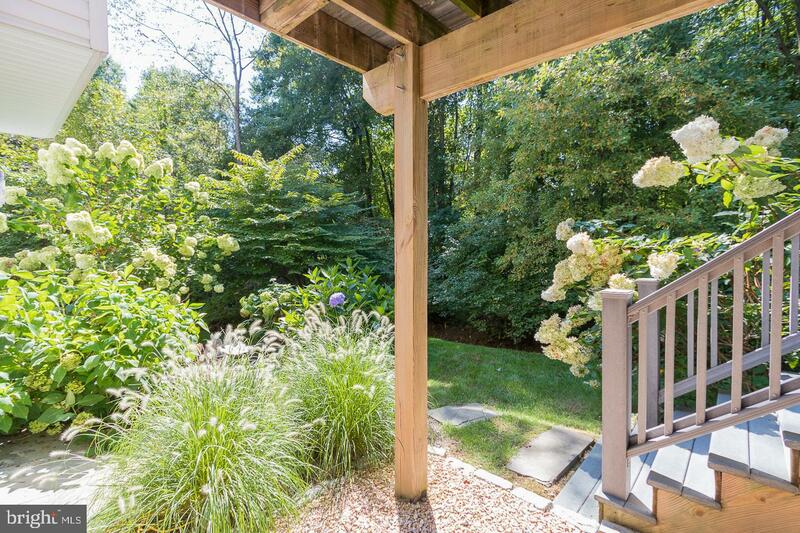 Work from home in the large well-lit study w/French doors, tucked away for privacy. 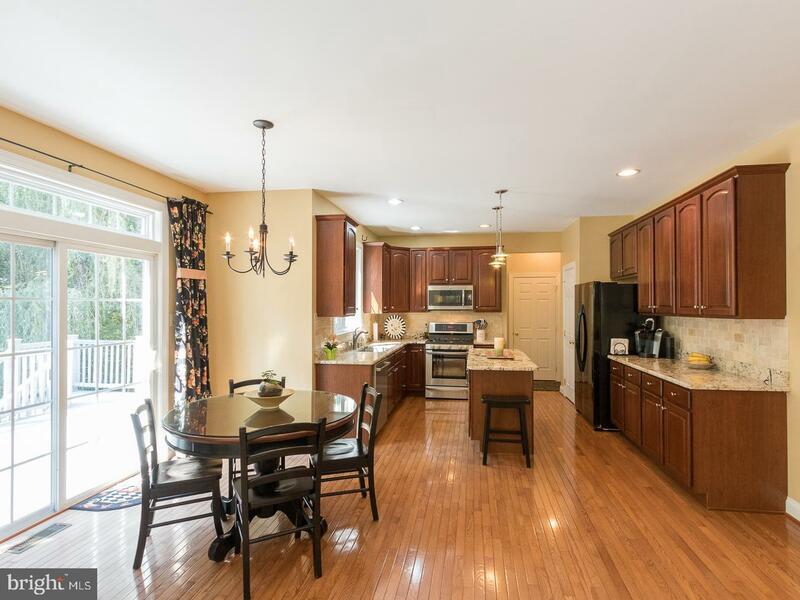 The kitchen area, with its exquisite granite and eat in breakfast area, & updated light fixtures, is a delight for the family chef. 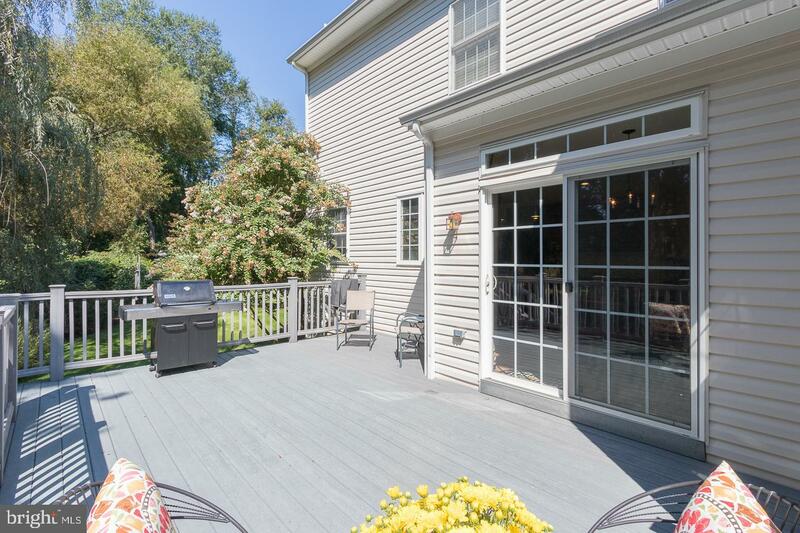 The sliding door leads to the maintenance free deck. 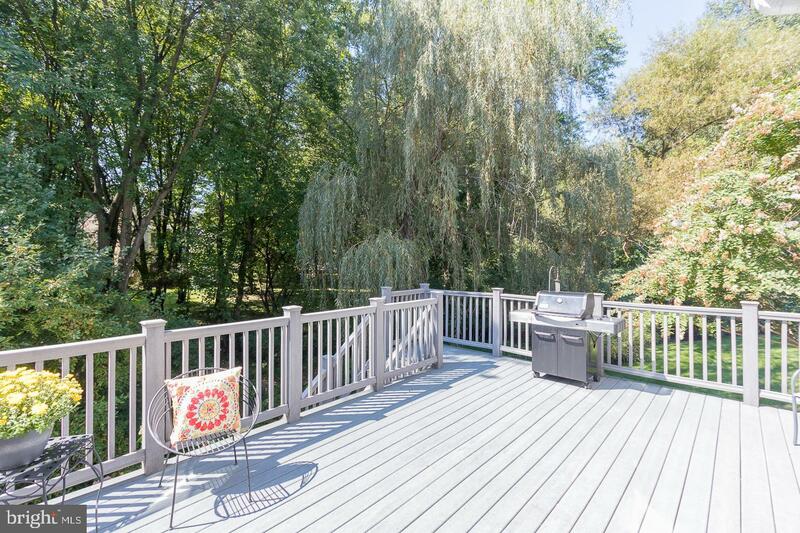 Enjoy Al-fresco dining, or sip a quiet cup of tea and feel like you are in a tree house, surrounded by greenery. 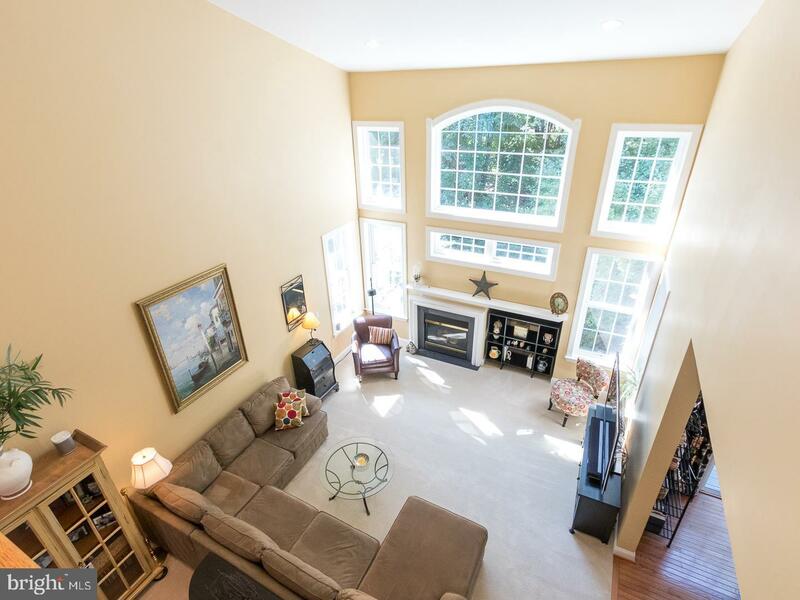 Upstairs, the landing offers lovely views of the level below, as well as the outdoors and is flooded with light. 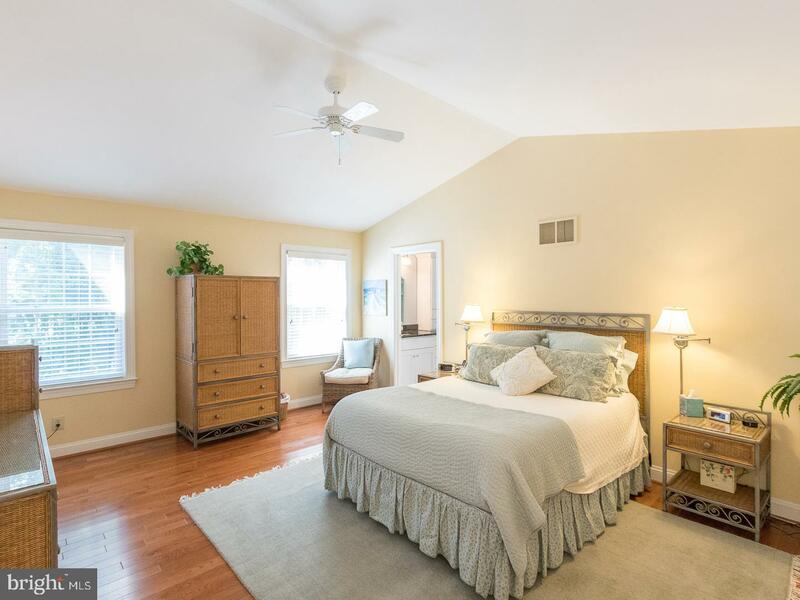 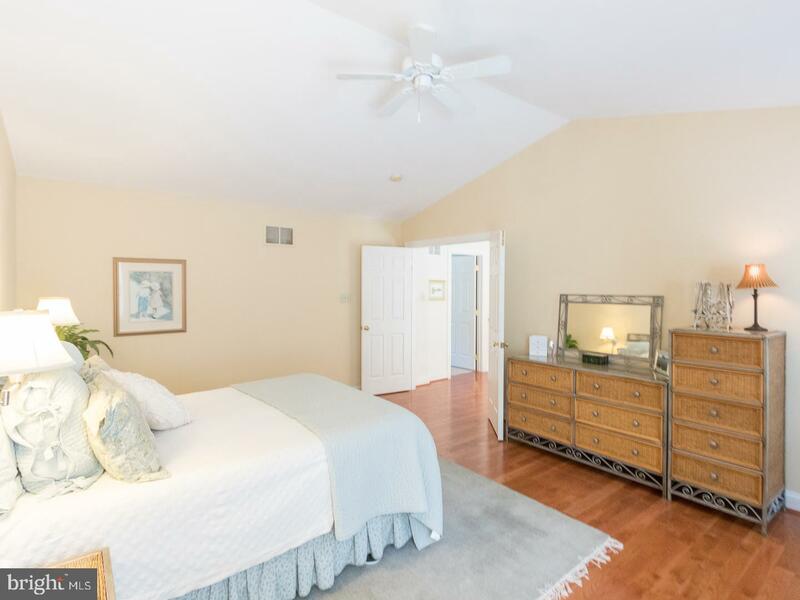 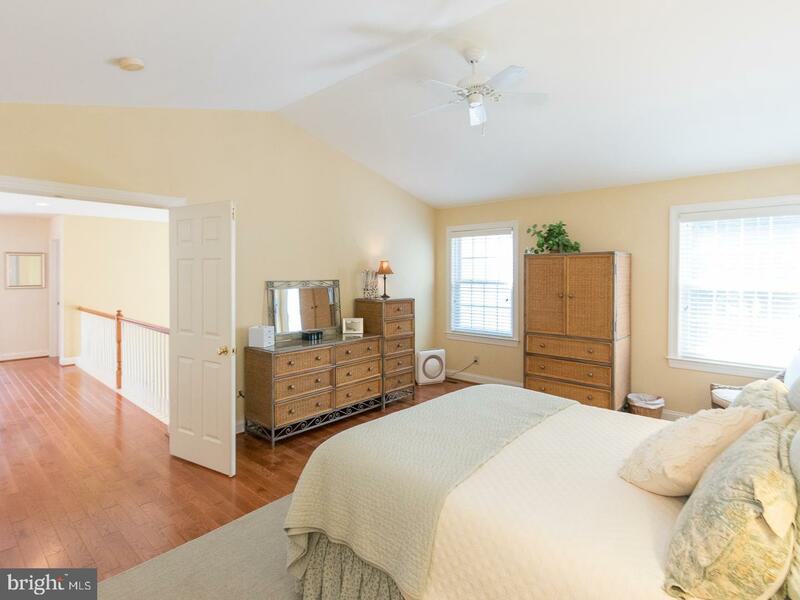 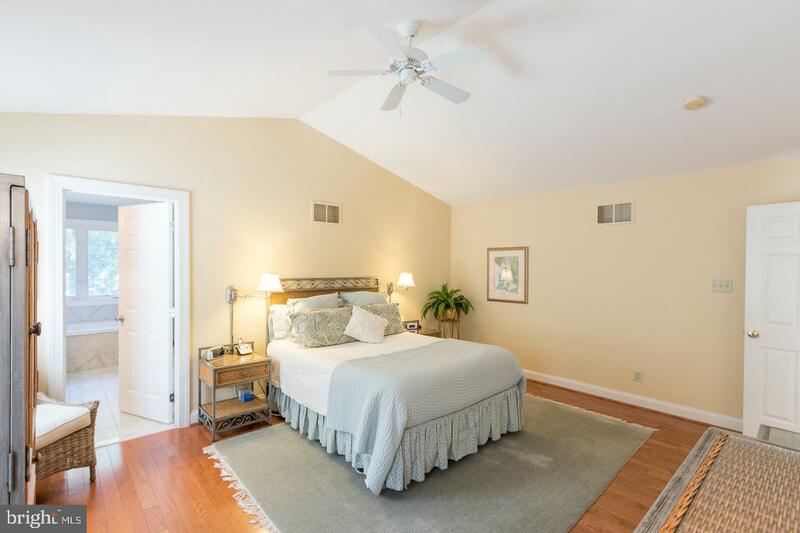 Cathedral ceiling in Master Bedroom, with a recently updated luxurious like spa-like retreat. 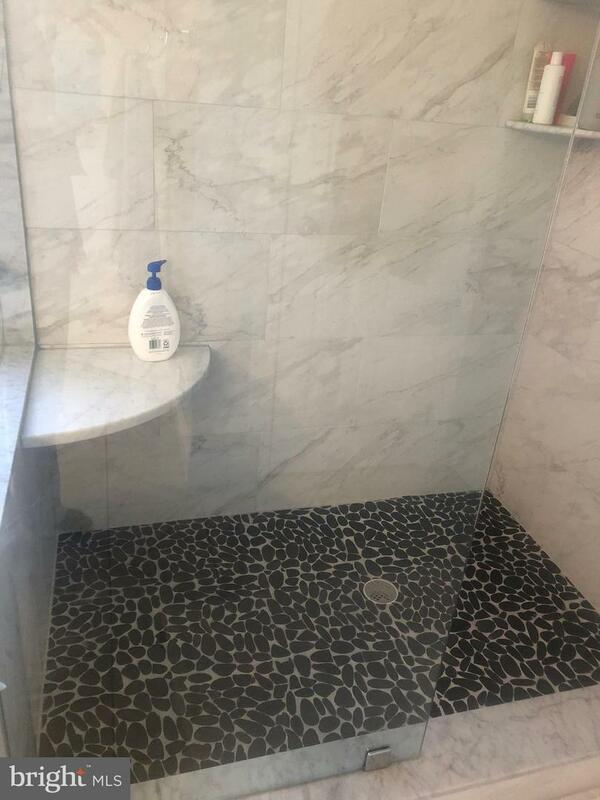 The Master Bath has a frame-less glass shower door with a contemporary, pebbled floor, easy to maintain porcelain marble floor tile and a Jacuzzi jetted tub. 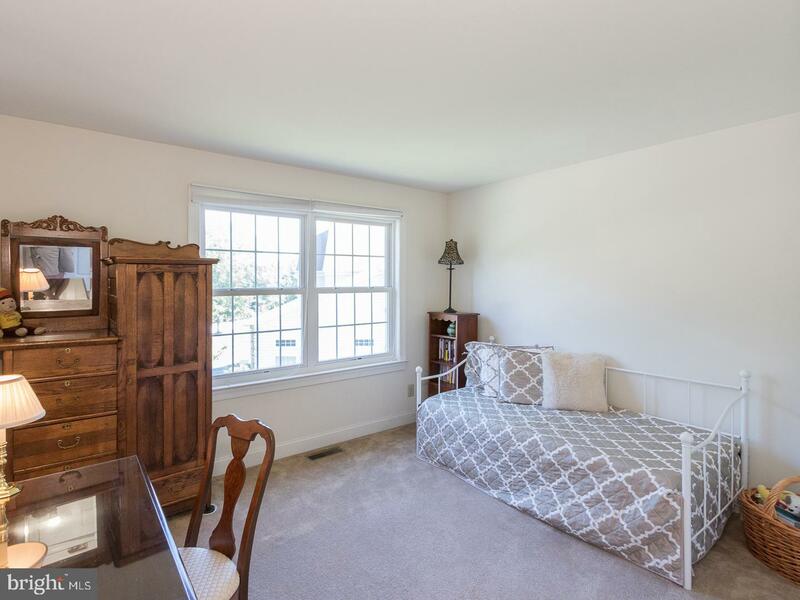 Did I mention lots of light and complete privacy from the large window? 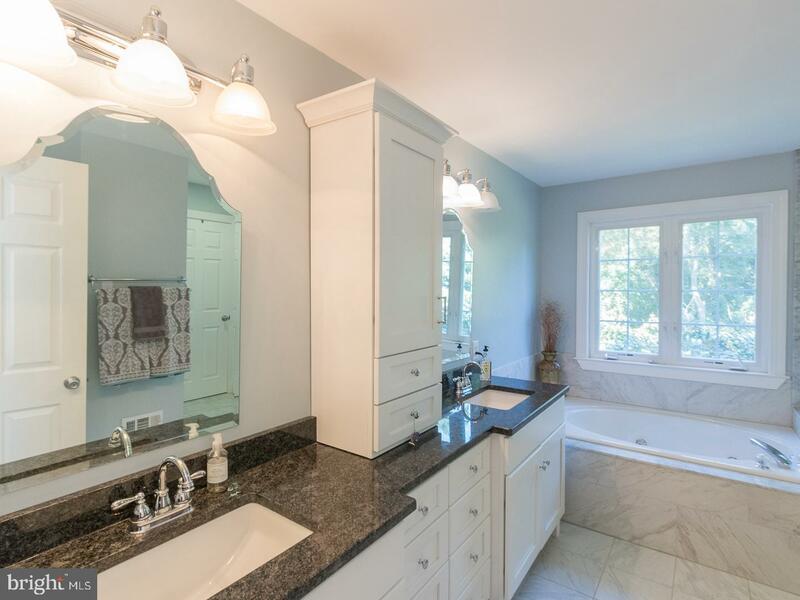 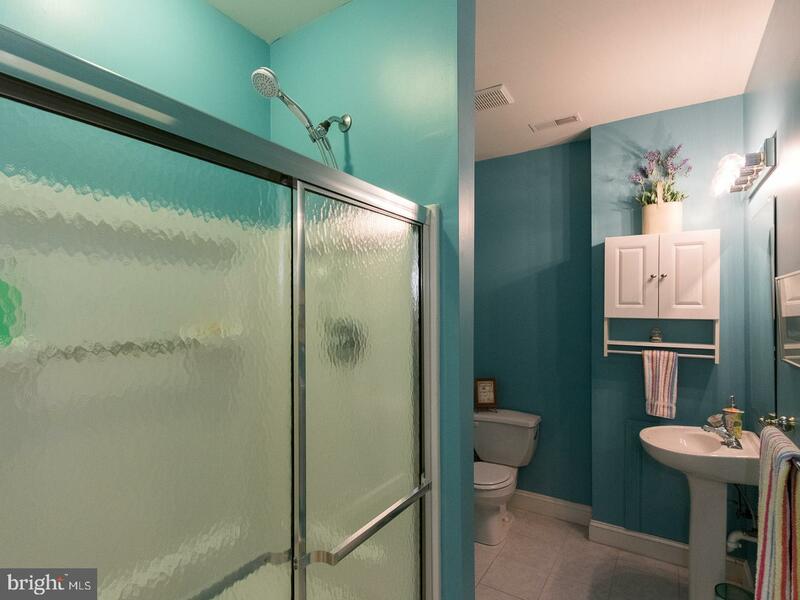 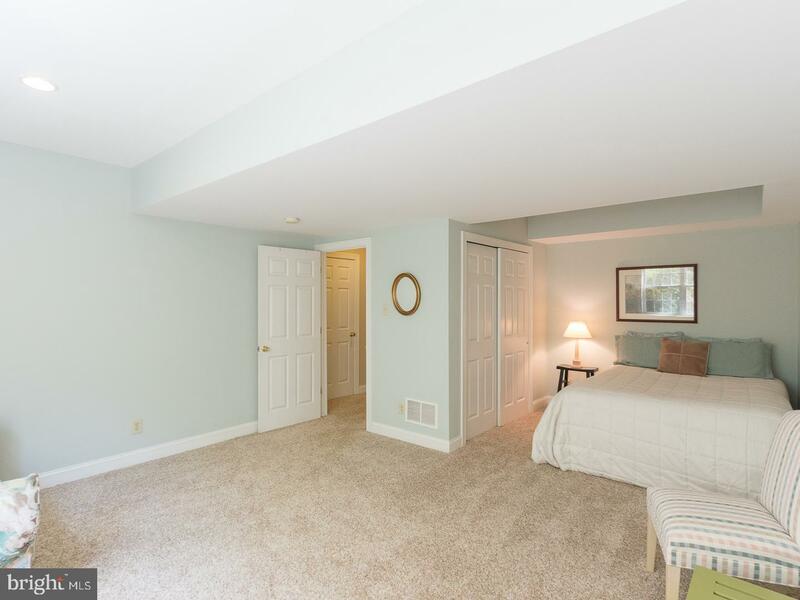 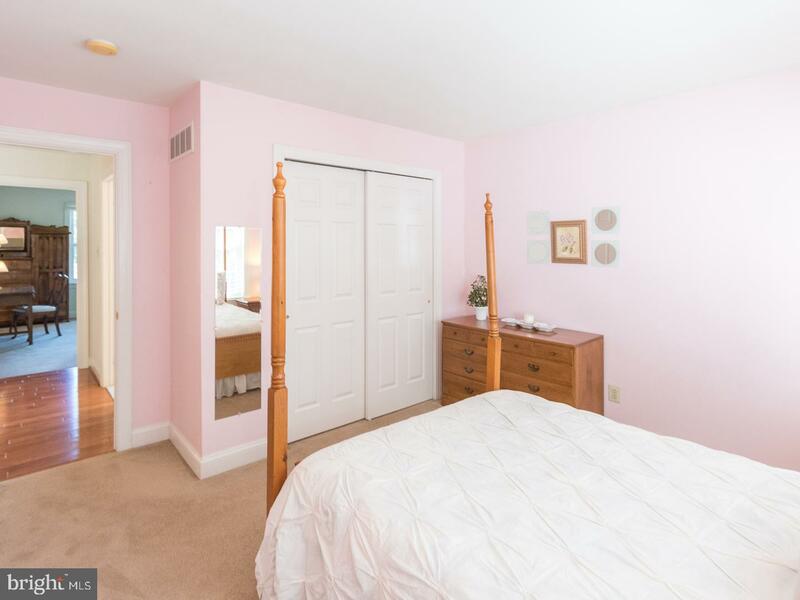 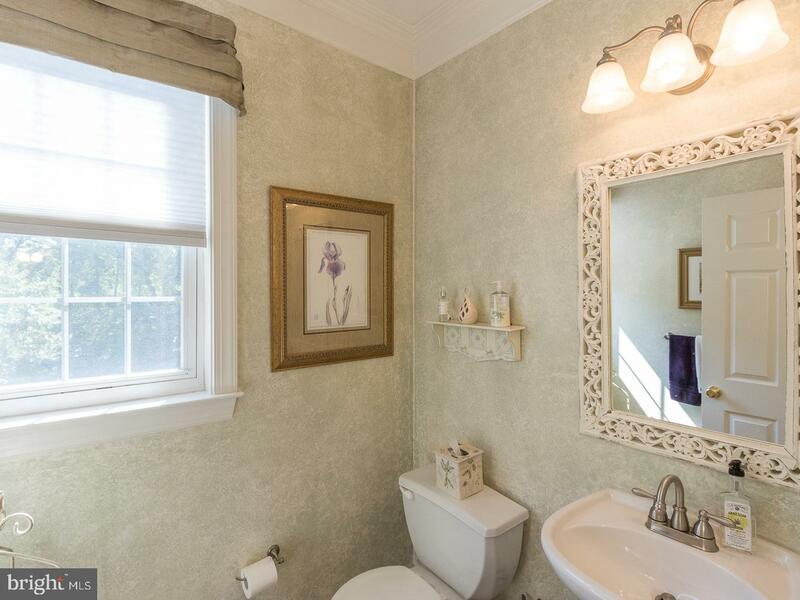 This level has 3 other bedrooms and a hall bath. 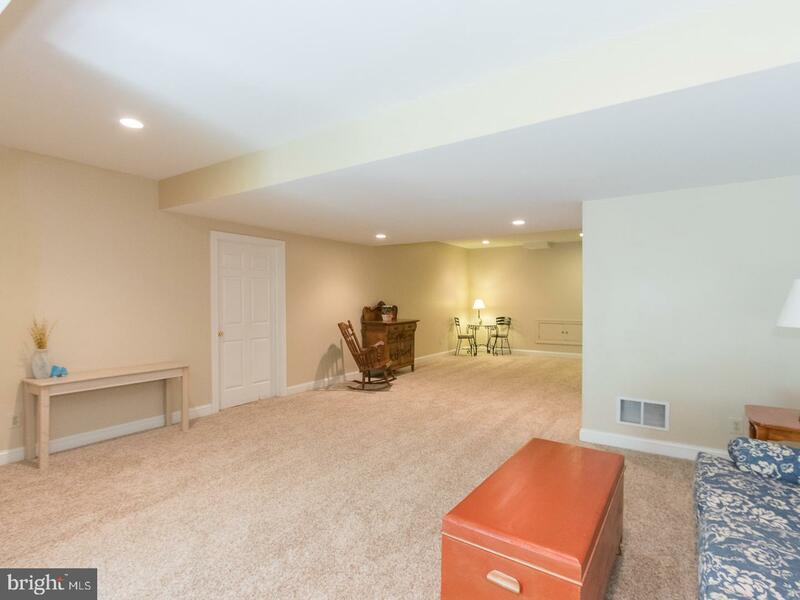 Large walkout Finished Basement has a generous sized bedroom, a full bath, and a large family/game room area. 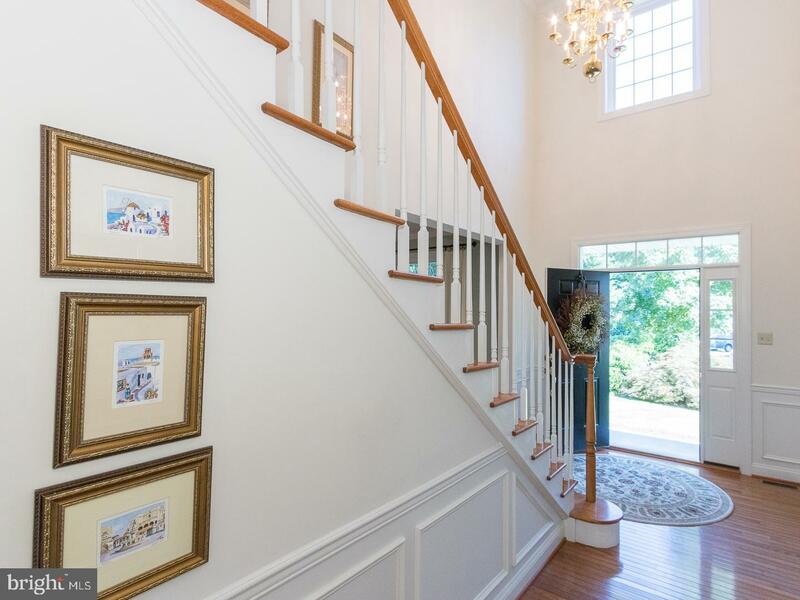 The views from all areas of this home are lovely - during all seasons. 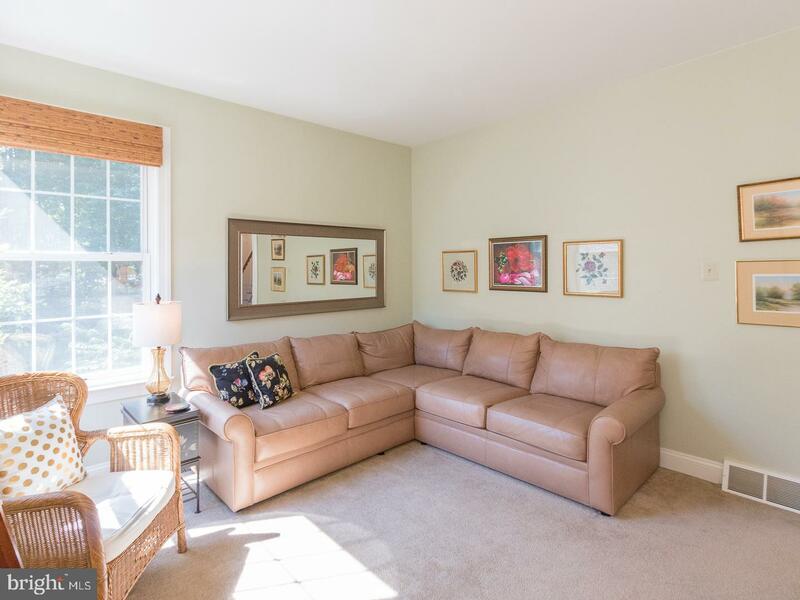 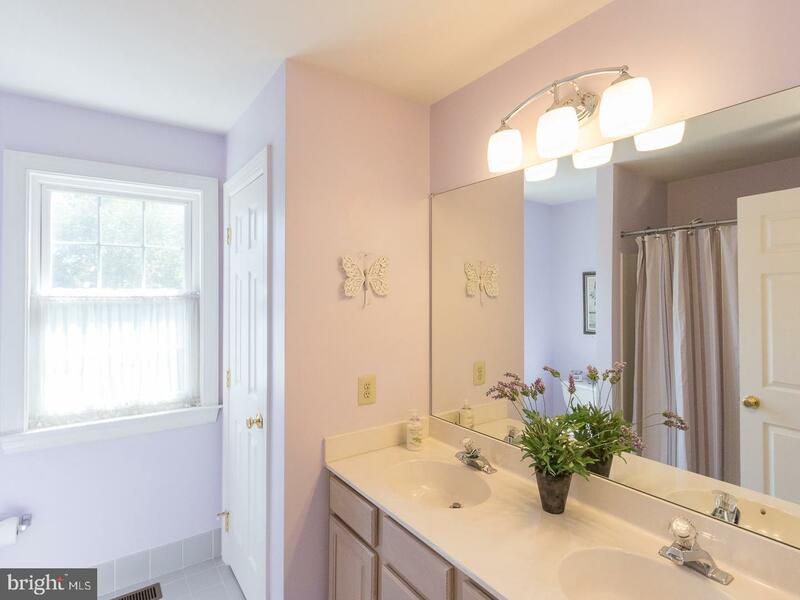 The home has been immaculately maintained and feels very lightly lived in. 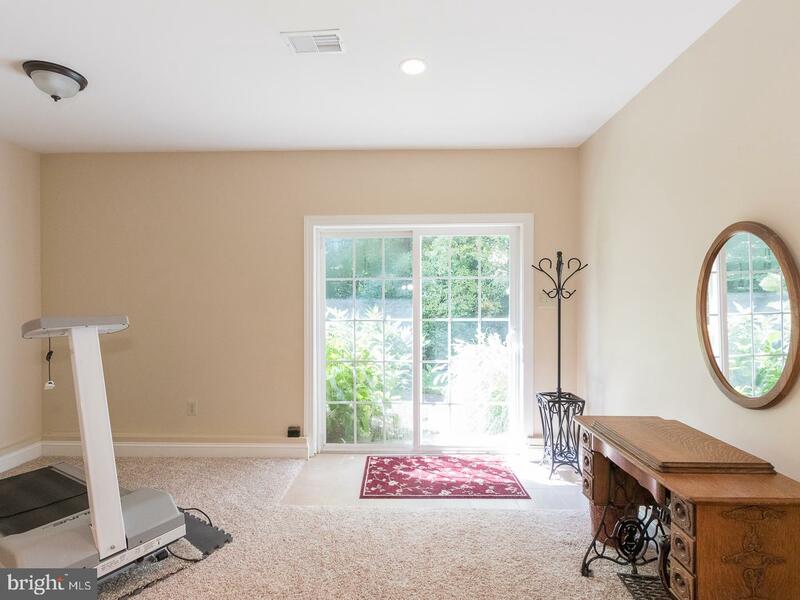 Newer HVAC system installed in 2015. 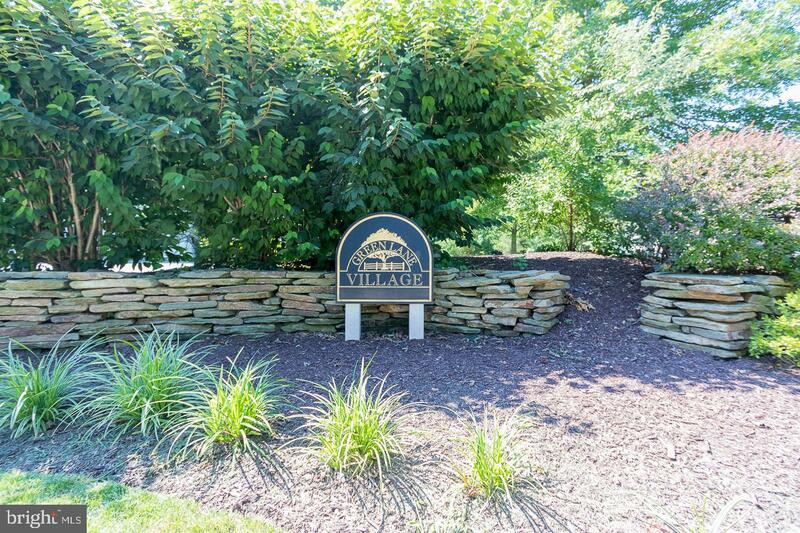 Located in the award winning West Chester School District. 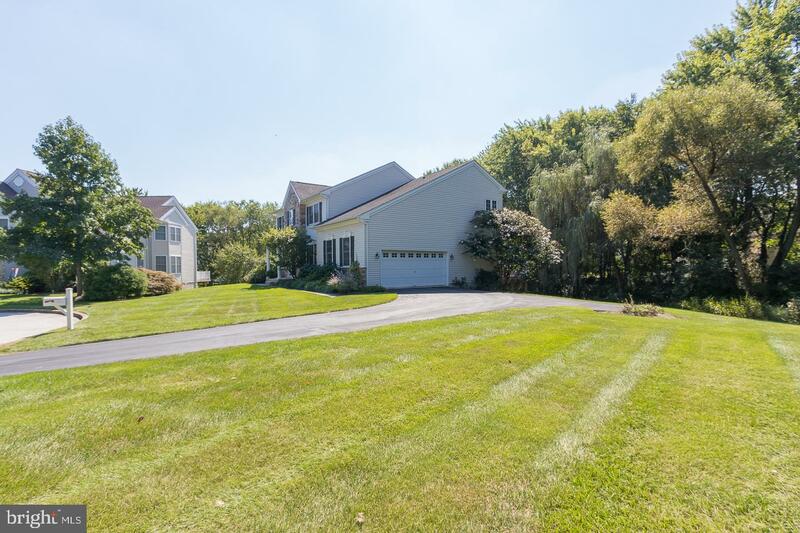 Only minutes from most major roadways, Route 202/3/352/100/926. 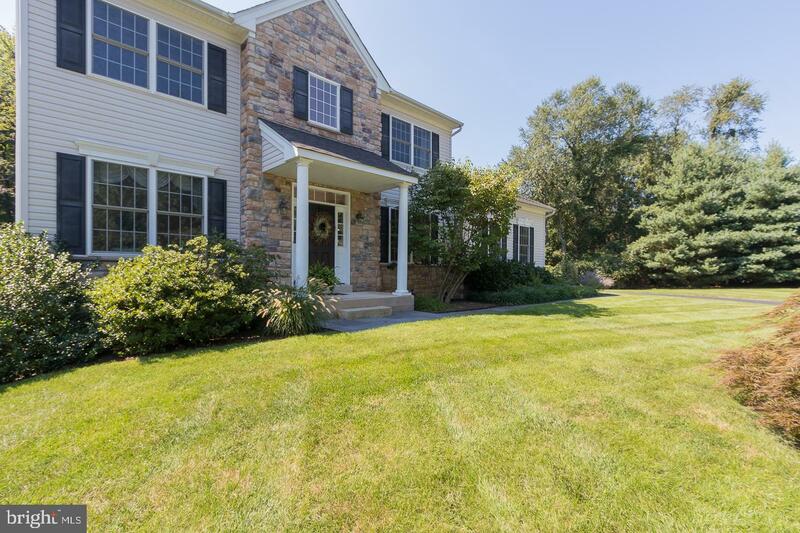 Close to Newtown Square work commutes. 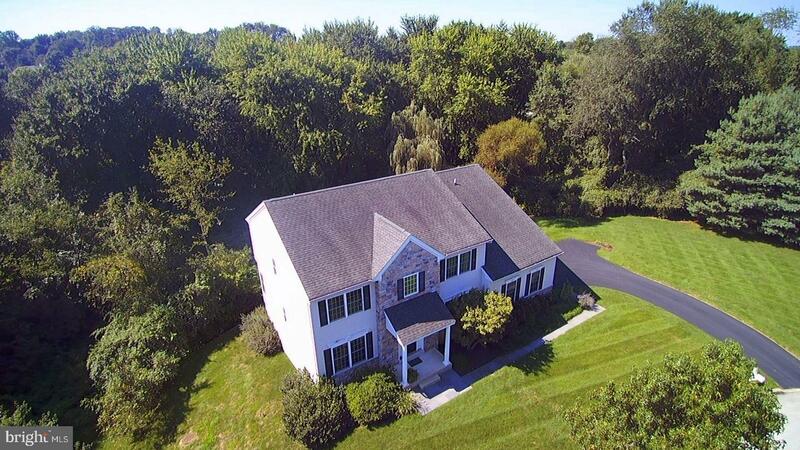 Schedule your showing for this home today!